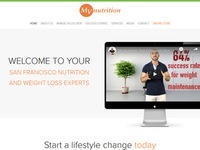 – Providing customized nutrition plans and counseling on an individual basis. Specializes in weight management, sports nutrition, and disease prevention. Located in San Francisco, California.